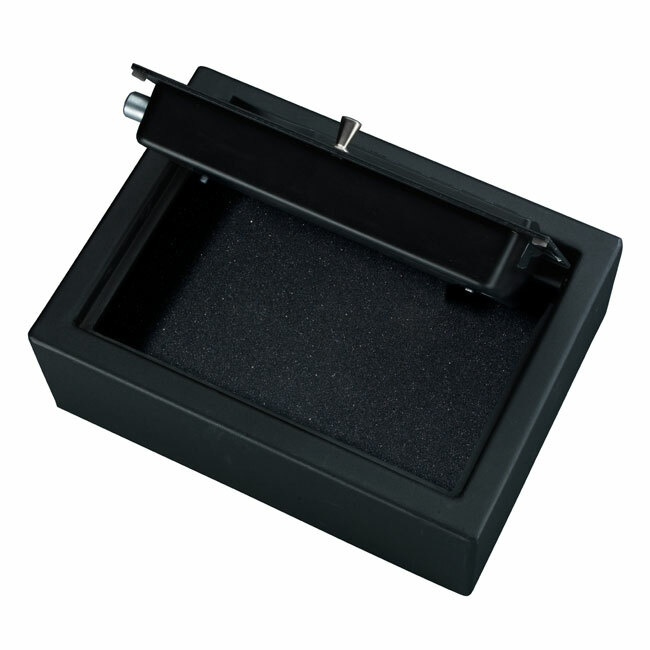 The Stack-On strong box PDS 1500 can be attached to the inside of a drawer, under the bed or even bolted to the wall. 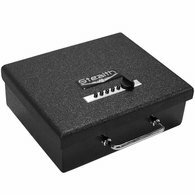 thanks for your help on the phone also :)"
The Stack-On strong box PDS 1500 can be attached to the inside of a drawer, under the bed or even bolted to the wall. 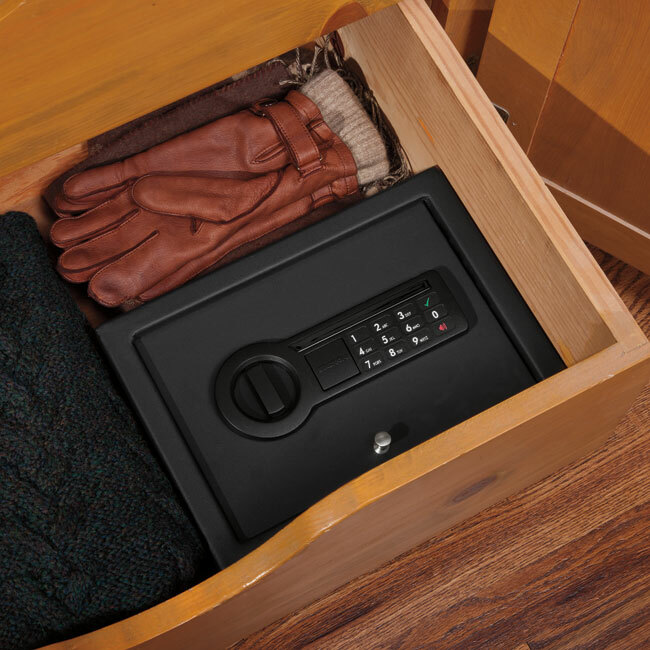 The PDS 1500 is big enough for a handgun, IPod and some small valuables. 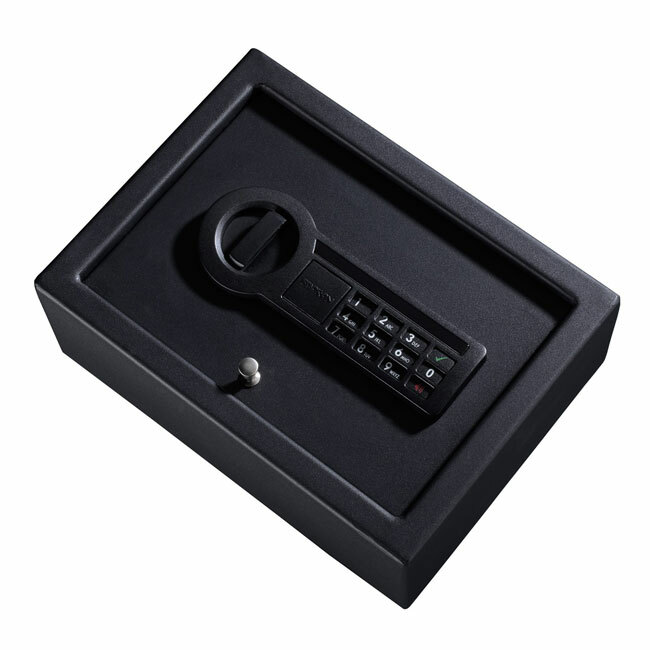 It comes with an easy-to-use electronic lock and a key override. 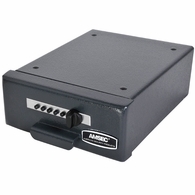 The Stack-On PDS 1500 is made of 2mm outer body steel and a 6mm pry-resistant door. 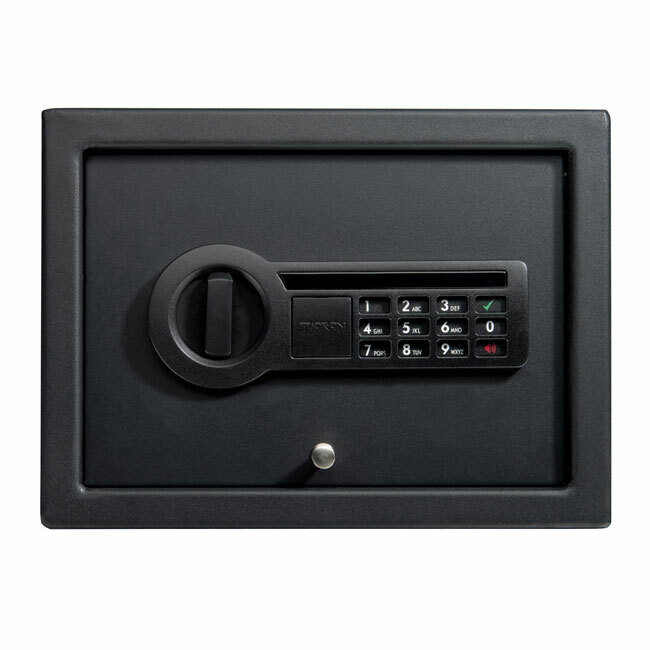 The two live action steel locking bolts and concealed hinges provide pry-resistant security. 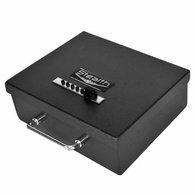 This strong box has pre-drilled mounting holes and hardware for mounting to most surfaces. 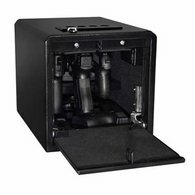 This unit is a California Department of Justice approved handgun safe. This safe has been tested and proven its ability to stand up against light attack. 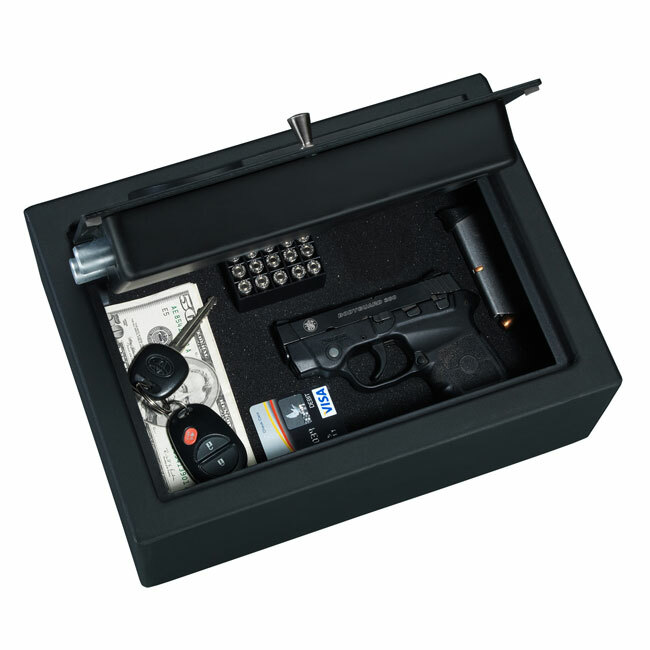 If you want a quick and reliable safe that is easily hidden, then this is the correct pistol safe for you. Not recommended for storing CDs or other electronic storage devices.